First of all, spoilers! This post will talk about the three major optional challenges in the game, but it won’t spoil anything related to the story. That said, if you don’t want to know anything about the optional regions and bosses, stop reading! I already said in my tips for playing the game that it’s a good idea to do all the side stuff in this game, which is true. There are plenty of neat optional sidequests, and pretty much everything is worth checking out. For this post, I wanted to focus on the three most substantial side-challenges—the Valkyries, the fire realm of Muspelheim, and the mist realm of Niflheim— because I had a great time finishing them all and think that, on the whole, they’re more interesting and well-done than your average video game side-content. 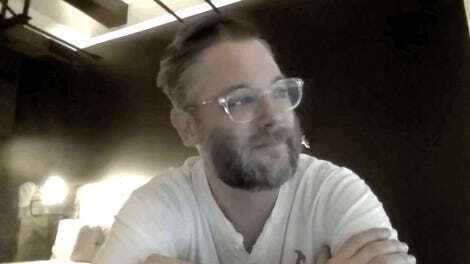 I like those three challenges because of how well they complement one another, and because of how they pushed me to master God of War’s combat. I really like fighting in this game, particularly as the the combat system expands and matures in the mid-to-late game. You unlock so many more moves and abilities compared with where you start, and enemies begin to come in so many varieties and combinations, that each fight is entertaining in a slightly different way than the last one. These three challenges each explore that in a different, smart way. The Valkyries sure put up a fight. You’ll probably find the first one about three-quarters of the way through the story. I spent an age on that first Valkyrie—the Valkyrie Gunnr, as it happens—because I really wasn’t quite powerful enough to fight her. It was a thrilling fight, and the first time in the game I’d faced the kind of intense, punishing boss that had me memorizing attack patterns and cursing my tiny mistakes. The Valkyries are great fun to fight and drop some good rewards. They’re also not really like any of the other fights in the game. Each Valkyrie is powerful, extremely aggressive, and able to cover the width of the arena almost instantly. They also each have a different move set that you’ll have to learn, though they do share some core moves. (That unblockable quick-lunge is so heinous, argh.) I fought my way through each of them, and the final step of the quest was easily the toughest thing I took on in the entire game. Not something to sleep on if you like a challenge. The Fire Realm is more clever than it first appears. I mean, okay, Muspelheim is a bunch of combat challenge rooms like we’ve seen in plenty of other games. But the challenges themselves are a lot more interesting than I was expecting them to be. The first one was a simple timed challenge: Beat all the enemies before the clock runs out. At first, I assumed that was what the whole Realm would be, just with tougher enemies on each round. I left to go do some other stuff. When I came back for round two, I was given a challenge where I had to kill every enemy within a short time window, or they’d respawn. I figured out that I needed to lower each of their health levels to near-death, then kill all of them at once. It was tricky, and cleverer than I had been expecting. It actually reminded me of a raid mechanic from a game like Destiny. Subsequent rounds in Muspelheim added other wrinkles, which I’ll leave for you to discover, since you probably haven’t done them all. Suffice it to say that the challenges can be pretty tough even if you’re high-level or playing on an easier difficulty. Muspelheim focuses mostly on interesting mob fights, so it’s a nice counterpoint to the focused intensity of the one-on-one Valkyrie fights. The Mist Realm is enjoyably high-pressure. And then there’s the realm of Nifelheim, which you’ll probably unlock last of the three things in this post. It’s the most self-contained and involved of the three optional challenges. On your first trek out into the damp wilderness, you’ll notice that the cursed mist that covers the land slowly attacks you. Kratos has a mist-resistance meter that quickly begins to drain, and once that’s gone, his health will slowly drop until he’s dead. The blacksmith Sindri tells you to head out and find mist echoes in chests throughout the maze, which you can exchange for items that will increase your resistance and raise the amount of time you have in the mist. The maze rearranges itself every time you enter, and if you die, you lose all the mist echoes you gathered since the last time you set out. There aren’t all that many variations on the maze, and after a few hours of exploring I got very comfortable getting in, grabbing some mist echoes, and getting out with everything intact. But the randomness is still a nice little change in flow, given that nothing else in God of War is random. Nifelheim is an enjoyable race against the clock, and teaches you how to move quickly through enemies, prioritize your targets, and play as efficiently as possible. It’s also an area that encourages a bit of grinding, particularly if you want to get all the mist echoes you’ll need to close all the rift tears. 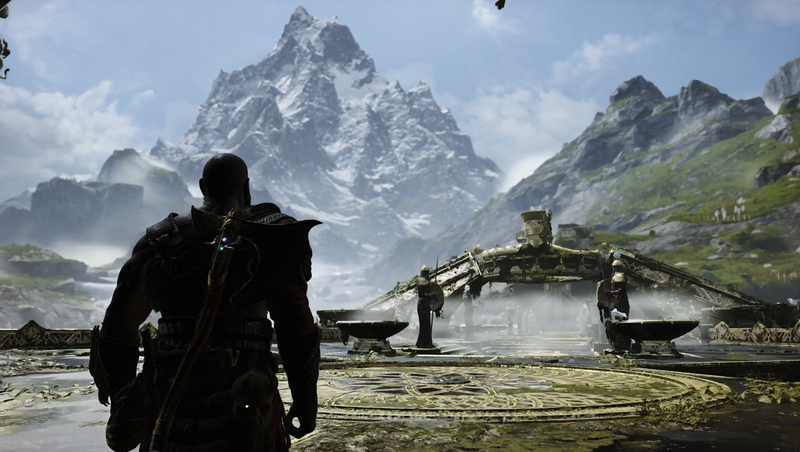 I’m glad God of War isn’t a grindy game in general, but it’s cool to have one place where you can just kind go and do repetitive, fun fights and always feel like you’re working toward something. The presence of some repetition and grind actually made Nifelheim another welcome change in vibe from the more focused, structured Valkyrie and Muspelheim challenges. The Valkyries are a straight-up test of your ability to defeat one powerful enemy. The Muspelheim challenges make you think on your feet and dig into your toolkit to solve some tricky problems. And the Nifelheim maze makes you focus on moving quickly and making mental maps, while also giving you somewhere to do some casual grinding. I like each of those challenges individually, and like even more how they complement one another and let me better appreciate the things God of War does so well.